According to information gleaned from the Georgia State University Asian Studies Center, the Asian American community in Atlanta grew by 81.6 per cent to 310,004 between 2000 and the last census in 2010. Combine the family ties of this local populace with the popularity of Asian travel for other US tourists and it’s no wonder that trips from Atlanta to a range of Asian destinations like Mumbai, Beijing, Shenyang and Hong Kong are so popular. But whatever your reason for flying off on an Asian adventure from Atlanta, these five top travel tips will stand you in good stead. If you’re traveling to Asia on business, connecting with an appropriate chamber of commerce is a stitch in time that could pay off handsomely. For instance, the USPAACC (US Pan Asian American Chamber of Commerce) is an excellent business networking organization established to forge links between American companies and potential customers in Asian markets. And despite its tongue-twister name, this savvy club could provide a straight path to commercial success. Whether your business is big or small, or you’re in the private or not-for-profit field, it’s a wise idea to join the USPAACC Southeast Chapter prior to your next enterprising Asian trip — you might even find an entrepreneurial ally to collaborate with in the Atlanta area. Although the US passport remains one of the world’s best in terms of reach and reputation, many American travelers require visas to enter certain Asian destinations as tourists — India being a prime example. Asia’s a long way to travel to potentially be refused at port by an over-zealous immigration officer, so be sure to check accurate Asian advice at travel.state.gov — the US Government’s official international travel portal for citizens. You’ll also find vital info on safety advice, currency restrictions and vaccination requirements — essential reading if you want to be as prepared as possible for all eventualities. Ensure your US passport is up-to-date too — some territories require it to be valid for six months after the date of your visa application. As you might expect from the world’s busiest airport, Atlanta Hartsfield-Jackson has a fine choice of pre-flight facilities to keep you feeling satisfied, secure and entertained. In terms of eateries, you’ll find an inspirational international menu at One Flew South, fantastic Italian fried goat’s cheese at Ecco and Japanese quick-serve snacks at Teriyaki Experience. And if you want to shop til you drop, treat yourself to some retail therapy at Benefit Cosmetics, L’Occitane, Coach or Salvatore Ferragamo. 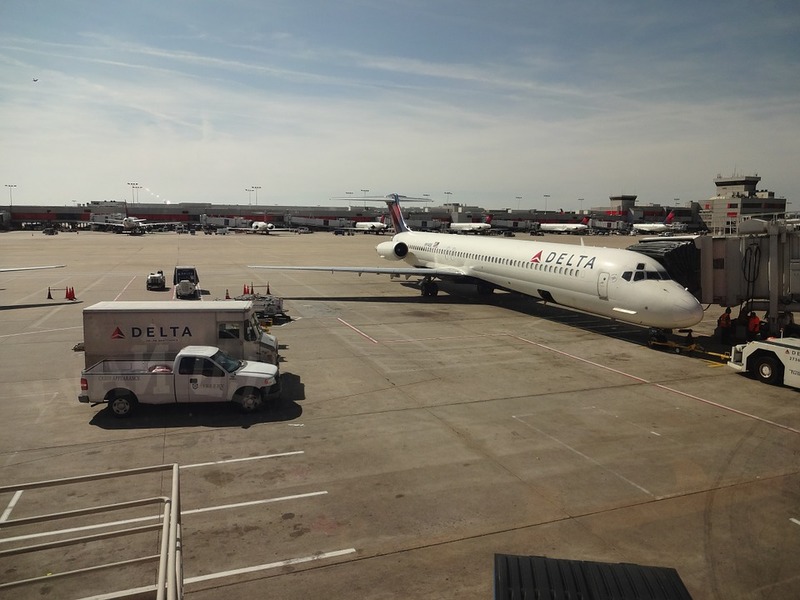 Finally, book Atlanta airport parking at Looking4.com before you leave if you’re traveling in your own ride — you’ll feel settled knowing your vehicle’s safe and sound until you return. These three terrific travel tips will make your next trip from Atlanta to Asia as smooth and satisfying as Chinese steamed egg custard — put them into practice soon. Do you have more advice for Atlanta to Asia travelers? Share it in the comments section. Tagged asia, Atlanta, flights, travel, travel tips.